Do county members get a decent return for their subs? With the 2019 season ahead members paying the adult rate now could be spending anything between £175 at Trent Bridge and £309 at Taunton, although there are discounts for seniors, joint members and other categories available to varying extents. County-by-county numbers are downloadable from the stats page. 39 days (CC, the group stages for RL and Blast) watching Glamorgan was available for £142 for those who paid up by February this year and joint memberships at Nottingham for £252, on the face of it, are not expensive for those who get to, say, 10-15 days over the course of a season. The numbers a comment, perhaps, on what the market will bear, membership totals at Cardiff have been in the 2,000’s for much of the last decade, and at Trent Bridge on its general financial stability. If the unit of measure for watching cricket live in England this summer is the cost of a day at the (Lord’s) Test, county memberships, in most cases, are less than a day for two. For those of us counting in £ the average cost is close to £240, as to how much cricket comes with it the criticism that the Championship has been shunted into the sidings and played in April and September has been addressed in 2019, maybe at least partly in response to The Cricketer’s Blueprint last August. The number of days scheduled mid-May to mid-August is around twice what it was last year and is now back to somewhere closer to the norm in the decade after 2005. Good news for those who are able to watch during the week but not especially for those who aren’t: CC days scheduled for the weekend in 2019 will, despite the tweaking by some counties of the original schedule issued by the ECB, fall overall from 129 to 88. If you can’t or don’t make the early season Championship weekends in April, much play to follow on Saturday or Sunday through the summer there is not. In short, the 2019 schedule might prompt thoughts that the ECB has a certain tendency to rather ‘forget’ members and spectators in the domestic game. CC and 50-over cricket during the week for a mature audience, hospitality and a night-out for those at T20 games for those in their middle years, but not so many days in the season when some might transit from a shorter format to a longer one, or occasional attenders or newcomers find it easy to go. Whether there is a sealant of sorts actually being applied to the county game via its fixture list, or not, overall about 1 Blast match in 4 will be played at the weekend starting at young junior plus mum friendly times. In 2019 Worcestershire are playing 4 home T20 fixtures on Sunday afternoons, if other counties went back to something closer to the old Sunday League scheduling for their home games, the Blast, and the county game as a whole, might have more of a future than is sometimes now suggested. The afternoon of the 2018 Royal London final was spent chatting to a players’ agent, an enthusiast for the ECB’s new competition amidst the game’s traditional audience, he made the point that for some of the players he worked with it might be a chance to something like double their earnings from playing the game. A polite conversation ended with agreement that cricket needs to attract more younger spectators than were present that day. ‘The 100’ is billed as the route to this end and for its duration large incentives to focus on the white-ball game seem to be coming the way of many players, in a sport with small numbers at the top on central contracts well remunerated, the great majority of professionals a great deal less so. As to the effect on the playing base for Test cricket this brings us to the extent to which the game has already divided into those who specialise in one format or another. In the 2018 English season there were 450+ players who appeared at least once for their county; of these, around 300 appeared in the Blast, one marker for the numbers who might conceivably think of themselves as possibles for the new competition, and of these, around 80% (230+) also played some Championship cricket. As a marker this is, of course, open to the comment that those who played more often, those who performances keep them in and around their side over a season, may in many cases be more of a possible, if not a probable. The Worcestershire team, for example, that won the 2018 Blast had four players who were ever-present, and some 90% or so of the names on their team sheets during the competition were occupied by 12 players. These are not numbers to surprise particularly, around 90% of the places in the Surrey Championship winning side were occupied by 14 players, and the graphic below shows that player counts for the game as a whole were not very dis-similar. The players’ appearance numbers are lined up in increasing order, Joe Root’s for example (3 Championship matches, 1 T20) put him centre-left, those for Joe Denly (14 and 13) put him at the right hand end. T20 cricket is concentrated in the hands of a smaller number of players than is the case in the first-class game, and if ‘the 90%ers’ were taken as a another marker for ECB competition possibles, then the number drops to just under 230. Around two-thirds of these players were also ‘90%ers’ in their Championship sides. In short, taking a broad brush for some sense of the overall picture, while some specialisation there be, and not all of it short-term overseas hires by any means, in 2018 there were more T20 cricketers who were also Championship players; amongst the England qualified they numbered about a half of the Championship ‘regulars’. The question prompted by this is what is going to be done to solidify the careers of those who see themselves as red-ball cricketers? Data on appearances compiled from Cricket Archive, nationalities taken from Cricinfo. The second table is based on rankings by county. The Championship has made a welcome re-appearance in the last month after its ‘break for the summer’ and if comments about its sidelining are not exactly new, the point being made has become more a lot more pointed. In 2016 almost exactly a half of the competition was scheduled towards the middle of the summer, since when through a combination of reducing the number of games to 14 and other changes to the fixture list this has declined half-way to not all. The obvious general question here is where is all this heading? As to the wait between games at the 18 county grounds the longest gaps are not surprisingly at counties that do cricket festivals on outgrounds, although not all those that play at outgrounds have particularly long intervals at their main ground. But the impact of taking the game away from the middle of the English summer in the last couple of years is plainly a general one and for most resulted in a gap of something like two months in 2018. If rhythm in the cricket season comes from continuity and at least some regularity in the fixture list it has gone missing in the Championship scheduling and there are other variations that from the spectating end of things are difficult to fathom. The six rounds of matches in the first part of the season are played across the weekend, the four rounds of matches in September when the competition reaches its climax, are played during the week. Matches in 2018 started on all seven days of the week; those that began two days after the August bank holiday had a scheduled Saturday finish when domestic football was a rival attraction and the following week finished on a Friday when football was on an international break. In a world of free streaming and Beeb radio commentary at some point this might very well risk an exodus of members, the game’s bedrock joining the Chief National Selector in seeing the Championship as an I-pad experience. The August issue of The Cricketer magazine included a piece from its editor making the case for more red-ball cricket mid-summer, central it might be thought to the competition retaining its strategic importance in the game; although with the ECB pushing on with The Hundred and some county voices responding to it by arguing the case for an expanded Blast, the problem for the appreciators of the game’s long-form is evidently a fundamental one. It is a long way from obvious that there are enough figures in the cricket establishment with incentives to stabilise the place of red-ball game. George Dobell wrote a piece this summer on the presence of a Cricket Supporters’ Association, a body to give the game’s supporters more of a voice. FWIW, almost 20 years ago this one blogger had some involvement with the setting up of football’s Supporters’ Direct, from which a fairly clear message that there are issues that ‘burn’ (existential ones at many football clubs then) and attract support, and there are good intentions about governance changes, the election of supporters’ reps to boards, which are often the long-road. The tensions within the game being the way they are the need for a campaign for red-ball cricket looks real enough. Data sourced from Cricket Archive. Chris Arnot’s book is a gentle nostalgia for county cricket past, times fondly remembered in pleasant and sometimes beautiful settings, places where supporters were close the game and its players. Quite what constitutes a cricket festival is given some leeway by the author, but there are over 50 grounds recalled and he understandably concludes with the wish that the game’s festivals do not become an extinct species. Certainly some of the nostalgia comes from remembering when those at the very top of the game played on club and school grounds; and also on municipal grounds as well at times, such as Clarence Park in Weston photographed here in 1978, a venue where player facilities while not unusual for public parks then could now be euphemistically described as limited. In a very different world forty years ago, the game’s best players were paid salaries for the season that were not a long way north of what a new graduate could then expect. The 1970s was a rather turbulent decade to end the relatively egalitarian post WWII era in Britain, although cricket arguably did a decent job of adapting to change with the then shorter forms of the game. The Sunday League was to a considerable extent played on outgrounds, 100 in all, as the game renewed itself by going local, sometimes very local; in the middle of the decade the competition was won by a Hants team with three ICC Hall of Fame cricketers at Darley (pop 5,000). In the decades that followed the middle classes politically re-asserted their interests and cricket festivals saw growing numbers of corporate hospitality tents, that were later to become permanent boxes as the county game centralised, contracting the number of places where it was played. In a changing economy some company grounds were no longer used and with the advent of 4-day cricket, the historic festivals at Weston-super-Mare, Bath, Bournemouth, Portsmouth, Eastbourne, Hastings, Folkestone, Maidstone, Ilford and Southend departed from the cricketing calendar. The festivals of the middle-classes, together with those of ‘Essex Man’, what went with them was the counties doing their bit for club cricket at those grounds and returning spectators giving in some cases decades long support to the game. As to what this might tell anyone about the prospects for outground cricket in the future, in 2018 festivals there still are at Arundel, Cheltenham, Guildford and Scarborough, and, if not necessarily named as such, 4-day games are on the calendar at Chesterfield, Colwyn Bay, Swansea, Southport and Tunbridge Wells as well. Most counties continue to play at least some cricket on outgrounds. In the August issue of The Cricketer the magazine’s editor makes the case for a more even distribution of the Championship games across the summer, something for the hearts and minds of the game’s traditional supporters, although he does also make it clear that priorities in ECB fixture scheduling are international cricket, the Blast, then other competitions. If, as may well be, the amount of county cricket that is played in 2020 is reduced to some degree, it being a matter of which format(s), but that the financial distributions from the ECB to the counties are increased, then the extent to which outgrounds are used looks like a fairly open question. If the view that more Championship cricket should be played in July and August does prevail, it should at least maintain, if not extend, the number of 4-day games, albeit that it might squeeze the number of limited overs fixtures. The game of cricket is evidently caught between the centralising tendencies of the ECB and the counties, who still do something to spread the professional game around the country. This points to a fundamental problem, even if much of the public debate this summer has been over the merits or otherwise of a yet to be tried format for the game. The county game has in the past done very similar competitions at the same time, 30 balls to make a point of difference rather than 20, and in 1981, almost entirely forgotten now, 7 a side 10 over cricket was tried at football grounds. It didn’t work then, although T10 cricket, 2 hour games, might well in the future. On the long view county outgrounds are a marker of sorts, cast now as something of a counterweight to the game’s globally minded elites, who appear determined to introduce a competition in which they will regulate the integrity levels of the teams they will create, own and manage. 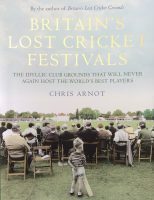 Chris Arnot at the end of his book points to the continuing success of cricket at Scarborough and the need for individual festivals to pay their way; to which amen, although coming at this more generally prompts the question could the game of cricket really afford to not continue with its festivals? The performance of the England team this winter has again led some to suggest that the talent pool for the professional game is in general too reliant on players from overseas and on those who were educated at fee-paying schools. 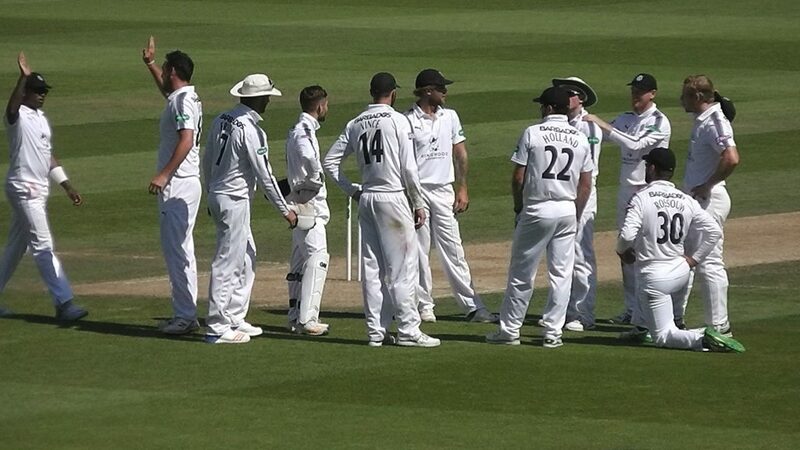 It is not too difficult to point to particular occasions when this might be thought so, the Hampshire team below at the Oval last summer, for example, according to the details on Cricket Archive consisted entirely of players who were one or the other. Yet the home team in that match, with its base in the global city, put out a side with 10 England qualified players, from a mix of state and independent schools, together with the South African, Conor Mckerr. As might be expected the backgrounds of the playing squads do vary a fair bit from county to county and numbers on all the counties are in a file on the stats page above. What the totals show is that in 2018 76% of the more than 440 players are England-qualified, of whom in turn some 37% were privately educated in this country. There is therefore still a sizeable number who were at a state school, although many who were have also come from a family of cricket players. The educational backgrounds of the players now do of course reflect the state of the game in schools a decade and more ago. When Chance to Shine was established in 2005 a commonly quoted stat was that the game had declined over the decades to the point where it was played in perhaps 10% of state schools; to which could be added the simple observation that participation had also declined, but less quickly maybe, in independent schools as well. Whether this decline was bottoming out then or still had, or still has, further to go is central to the likely future direction of the numbers here, but getting anything like a clear picture on this really requires figures over several years. For what it is worth the % numbers of England qualified players is slightly up this year on last. There are however the not especially comforting stats that 20% of the game’s English players now were educated in just 1% of the schools in the independent sector, and that while the ECB has operated a policy of financially rewarding the counties with age-related payments for those who are England- qualified, in 2018 proportionately greater numbers of those under the age of 26 are the products of independent schools. To this there is a something like common sense observation that the relative numbers playing the game in state and fee-paying schools, while important, are secondary to the total numbers playing. The ECB’s efforts to promote the game in schools and at the grassroots certainly deserve to be a high priority, although whether the same can be said for a city-based t20 league as the way to produce a generational shift in interest is another question again. In the game’s past, before the county structure became established, W.G. 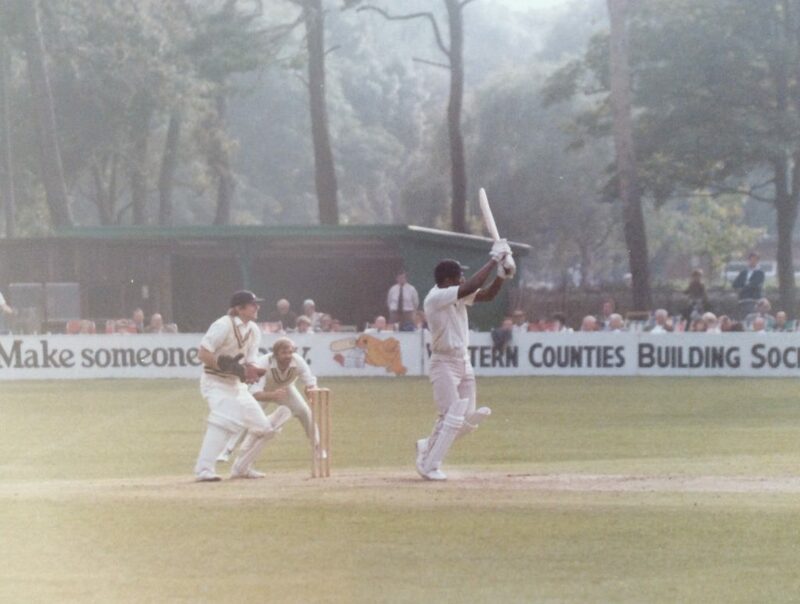 Grace played for a United South of England Eleven, in effect a team of travelling salesmen for the game that took it to many places around the country and across the Irish Sea, showing the best of it to people who had not seen it before. A United North of England and All-England teams led by others did something similar for varying periods at much the same time historically. A hundred years later, when interest in the long form of the game was dwindling in the decades after WWII, the counties took a shortened (t40) version, played by teams that included the world’s best players, to the round number of 100 cricket grounds on Sunday afternoons. In 2020, the ECB seemingly expect a new audience to do the travelling to a competition to be played at just 8 grounds. What the 2018 stats on the backgrounds of professional players show is the small numbers who have been educated in Cardiff, Leeds, Nottingham and Southampton; one indicator of the interest levels in the game in those cities in the relatively recent past. If, as must be quite likely, it is correlated with the potential number of new spectators coming along after them, then a message for the prospects for 2020 t20 getting much traction and being a success. Data summary county by county on the Stats page, extracted from Cricket Archive. Kartikeya Date wrote a comment piece a while back expressing amazement at how few professional observers seemed to be aware of how over rates are calculated in international cricket and the indulgences in mistaken arithmetic that follow from it (http://cricketingview.blogspot.co.uk). The subject of over rates was again prominent this week in English cricket with the Championship standings for 2017 finally settled; Middlesex’s appeal against a penalty of two points for slow rates, in the game when an arrow landed on the Oval, rejected. “Any suspension of play for an injury to a player or for any other reason beyond the control of the players shall be a deductible allowance”. So, if an inebriated spectator made their way onto the field and held up play an allowance could easily be made in the calculation. What Arrowgate raised is what happens when there is a longer suspension, such as one from a safety or security alert, that might lead to the early termination of a match, or otherwise seriously reduce the available time for play. 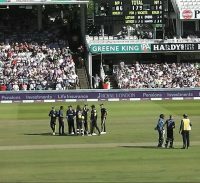 The rules are, of course, cast in terms of the team fielding at the time play is suspended, although the calculation for determining penalties is done on a match basis and a longer suspension might, of course, affect the team batting as well; as arguably happened on the 4th day of the Surrey v Middlesex match. Actually giving players leeway on this appears problematic given the way the rules are expressed through the over rate calculation; at the moment players are given consideration for relatively short interruptions, but not for more lengthy ones, something that, on the face of it, seems ironic. Over on planet football, when Manchester United played AFC Bournemouth at the end of the 2015-16 season, there was a safety alert when a suspect package was found in the toilets before the kick-off, leading to a postponement. During the evacuation of the ground, which took 20 minutes plus as one side of the stadium was emptied followed by the other, the blogger’s experience was that the PA was telling spectators to remain by their seats, while turnstile operators directly underneath were allowing spectators to exit, that of others that spectators were still being admitted to the ground at the time of the evacuation. Happily all who went to the ground that day went home again, as might be expected when the suspect package was, in fact, a training device. The follow-on question here is were it necessary to evacuate a large crowd at a cricket ground, say 15 minutes before the start of a T20 match, would the response be better than at Old Trafford 18 months ago? In 2017 many Championship fixtures were drawn, so credit to the players who continued to work hard, even when the games were going nowhere and spectators in attendance were sparse. The T20 Blast drew crowds of 20,000 plus to the Home of Cricket on more than one occasion and when Middlesex took a game to Old Deer Park, a record number turned up there as well. It would be fair to add there were some obvious limits to the interest of a cosmopolitan crowd in the capital on a night out, large numbers were not turned away from ODP (gate 4,000 that evening) and a very noticeably smaller number attended Surrey’s quarter-final against Warwickshire, the Friday evening before a bank holiday. 14,000 tickets were pre-sold said the Sky commentator rather anxiously as the cameras panned the empty seats. As for the wisdom of two t20 domestic competitions from 2020, this seemed a bit bonkers at the beginning of the season and still seemed that way at the end of it. A first for the blogger was an afternoon watching a WCSL fixture, Surrey Stars versus Western Storm, £5 a bargain. Plenty of free hitting and a highly competitive match. In the afterglow of winning the World Cup the women’s game looks like it could grow and grow; spectators who were new to the game of cricket came as did those who have been before, touches of colour appeared in parts where, so far, in the men’s game it hasn’t. Not good was the day when a nut with a bow let go of an arrow. It landed on the Oval, the players took cover and the pigeons moved over. It could be said that all is well that ends well although, security wise, some things can always go better and hopefully they will, if one day they be needed. And finally, Rory Burns was out, and also off, 30 minutes or so from the end of the Surrey v Hants Championship match in July. The Surrey captain and opening bat was stumped by Lewis McManus off the bowling of Sean Ervine for 68; Surrey were following on after he had carried his bat in their first innings making 219. Some staying power in the era of T20 cricket; it was a becalmed afternoon in high summer in a game that was still a pleasure to watch. It having been a good week for red ball cricket, to the Oval to see the final afternoon of the London derby. A Middlesex rear guard action and a game heading for a draw after tea, when the players suddenly and unexpectedly left the field. No announcement was forthcoming although after a few moments some sort of security alert seemed very probable. Time and other things are suspended rather in these situations, two security staff walked round the boundary edge on the Harleyford Road side of the ground, up the steps, passing by this spectator, being good enough to indicate an arrow being carried by one of them, onwards in the direction of the hospitality custom above, where (presumably) they thought they might find a bow. I gather they didn’t. Meanwhile members in the pavilion looked around at each other awaiting communication as did other spectators; after a period of 10-15 minutes, perhaps more than that, a plainly nervous gentleman on the PA apologised for the delay in making an announcement, but would spectators please take cover now, which being sensible people they did. The BBC commentary team spoke of lockdown although this spectator and others simply headed out of the ground and down the road to Vauxhall Station. From a distance of about two feet the arrow certainly looked like it would have done a serious damage to someone had it struck them; luckily as well as happily this day it didn’t. The individual response by the security staff was good; as for their managerial co-ordination there was a rather long delay in telling spectators to take action and before the episode is passed into the filing cabinet, mental and otherwise, what could be done to shorten it on any future such occasion should be somewhere near the top of the list of priorities. Whither the cricket scoreboard? Time was when spectators would look at the scoreboard a lot: a single taken, a glance, end of the over reached, another glance, many glances over the course of a game. When the Beeb covered test cricket at the end of an over a shot of the scoreboard would often appear. Then came the 21st century, Sky and, at least at some grounds, free Wi-Fi; electronic boards replaced mechanically operated ones to some advantage, which is not to say that they are always easier to see from a distance. The photo to the right was taken this summer at the Oval during a county game. The blogger’s take is that the information from the scorers has been well-filtered, for those taking a glance what else might they reasonably expect to see during the first innings of a Championship match? For other details the BBC website, cricket archives and Wikipedia; a good job done, as usual, at the Oval. As for T20 cricket, the scoreboard at Old Deer Park, Richmond on the left, also this summer, doing scoreboard essentials in a manner of speaking; gleaning from somewhere the batsmens’ squad numbers would be useful for spectators, but for a board at a club ground doubling as an outground nothing more expected. T20 cricket at the Home of Cricket, a large crowd come to see and make the game’s future. The scoreboard for action replays, umpiring decisions and the faces in the crowd whose Thursday night just got better giving thanks for being in receipt of a (sponsor’s name) hamper. As for spectators keeping an eye on the score as well, the scoreboard(s) were doing something suspiciously like information overload; a distant second in terms of clarity to what Sky show during their coverage of matches and not obviously helping newcomers take more interest in the game. If the board just showed the score, batsmen runs (balls), the bowler bowling overs/runs and the target to win/off, it could be made a whole lot more visible to those who come without a camera with zoom. The first match Cricketarchive records as being played at ODP was a fixture in 1867 between Richmond and a United South of England Eleven, a team of travelling cricketers taking the game around the country. It was the second USEE match of that season, having lost a few days earlier in Southampton with the Hampshire county team finishing 95-13. They won at ODP by an innings, and their itinerary that summer was to take them round southern England including Harrow, Islington and Southgate in Middlesex and Ashford and Maidstone in Kent, the games being played with 11 against between 15 and up to 22 on occasion. Kent take to the field. Tim Southee, bowled around his legs for Matt Coles’ hat-trick ball. 150 years later, Middlesex were taking games to outgrounds and the Kent team that took to the field was made up of players born in Ashford, Maidstone and elsewhere. There were globe travelling cricketers available to showcase their talents on both sides; Brendon McCullum, one of the game’s major figures, and Dawid Malan, from Roehampton to Richmond via Paarl in a manner of speaking, opened for Middlesex and gave them a good blast with a partnership that made 92 for the first wicket; ‘ain’t no stopping us now’ accompanied Dawid Malan back to the pavilion. Brendon McCullum went onto make 88, 72 of which came in boundaries, and together with a rapid 28 from Eoin Morgan, over 200 was possible for a time, but the innings was checked by a hat-trick by Matt Coles in the final over. Jimmy Neesham giving Kent a chance. Kent went in search of 180, but were soon two wickets down, the second over being a wicket maiden bowled by Steven Finn and Middlesex fielded with three slips at one point; but Kent rallied with a fourth wicket partnership between Sam Northeast and Jimmy Neesham, the New Zealander, hired by the visitors for the tournament; Alex Blake kept the visitors hopes real until a boundary catch at the end of the 18th over. They finished 16 short. The Pagoda in Kew Gardens was under wraps this year, and the vantage point of the London Welsh rugby stand was also closed, but ODP, home to a cricket club that was established in the middle of the 19th century and with the oldest rugby club around the corner does sporting history; a place in which the T20 Blast felt like a descendant of the 40 over Sunday League, cricket a bit more like cricket and comparisons with baseball more distant.